MonologueSlam London Winners – April 2015! We had a packed house last night for the latest edition of MonologueSlam UK at our home, Theatre Royal Stratford East. Hosted by the wonderful Chizzy Akudolu, the industry panel included Madani Younis, Artistic Director – The Bush Theatre, agents Nina Lee from Nina Lee Management and Bill Petrie from The BWH Agency, as well as casting directors Jane Davies, Nicci Topping and Sonia Allam. Congratulations to Michael Bunani, who took the Youth Round title and showed off his dancing skills! In the 1 Minute Round, Larner Wallace Taylor was proclaimed the winner with a Special Mention going to Shaun Cowlishaw. We were treated to an all guns blazing performance from comedy troupe Shoot From the Hip with audience participation and a Question Game battle, taking on the TriForce team. The special mention for the 3 Minute Round was awarded to Kimberly Har-Simpson who had travelled all the way from Manchester for the show. The winning spot went to four time champion Beth Mullen, who now has a MonologueSlam UK trophy in every room! Beth was also named overall winner which means she goes through to the national final of MonologueSlam UK in London on 14th December, for the chance to win a year’s free membership to Spotlight, not to mention the title of MonologueSlam UK Champion of 2015! Michael, Shaun and Beth will all be invited back to the next London MonologueSlam in the June to defend their titles. To see details of all our winners and the full line up, click here. We were also very lucky to have the wonderful Rene Byrd entertaining the audience with her beautiful voice in the 2nd half! 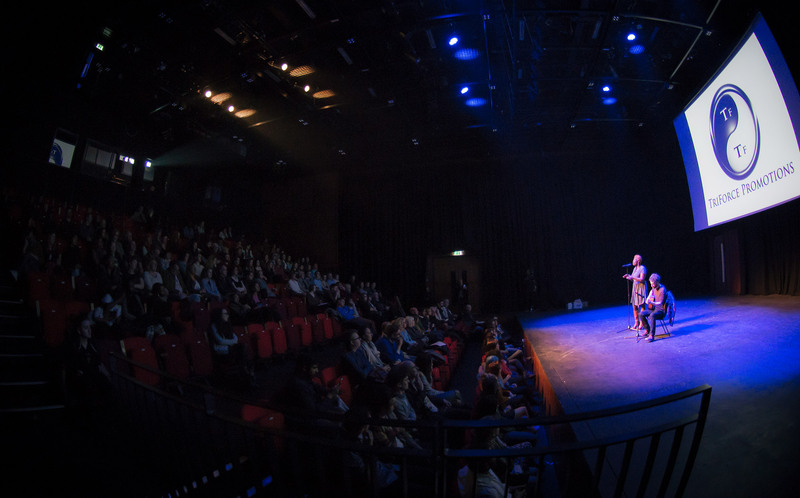 If you are interested in auditioning for the next MonologueSlam you need to sign up to our mailing list for advance notification of auditions – good luck!